TAP Barley Straw Bales, available in a variety of sizes. Algae problems in ponds can become a threat for the ecosystem if not treated. 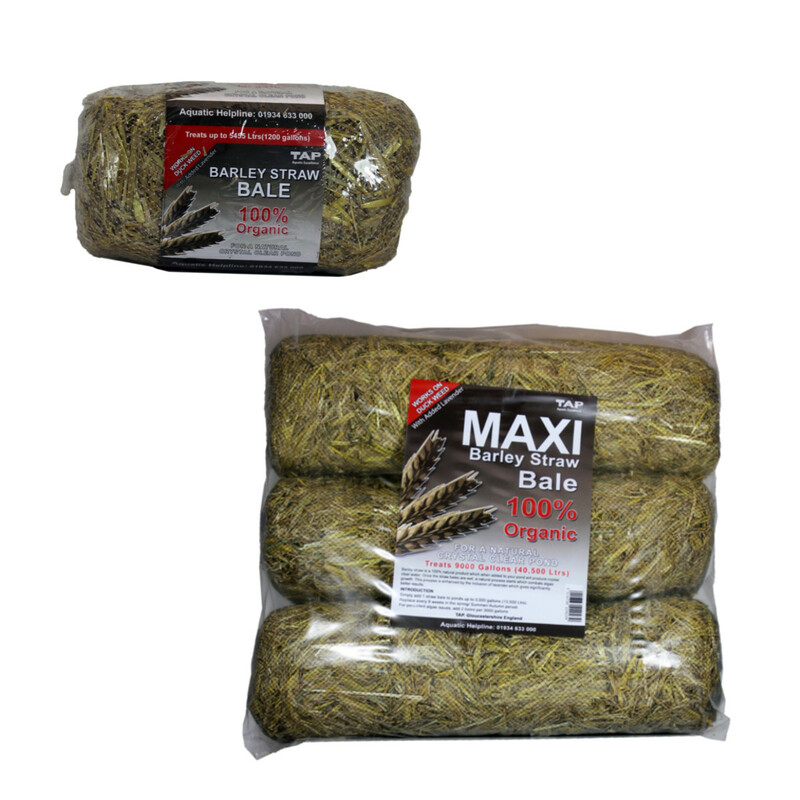 TAP Barley Straw Bales are 100% natural making them easy on the life living within the pond. When the bale is introduced to the pond and becomes wet, a natural enzyme is released which helps to combat algae in a completely natural way. The end result is crystal clear water. The TAP Barley Bales are larger then most bales on the market, treating more water for your money than any others. The Mini bales are ideal for the smaller pond, treating upto 5455 litres (1200 gallons) per bale. And for the larger pond, the Maxi bales are the best choice, treating up to 40,500 litres (9000 gallons). The TAP Barley Bales have the additional benefit of added Lavender. Research has shown that the addition of lavender greatly increases the effectiveness of the straw. Place one bale in a pond up to 3000 Gallons. Replace every 8 weeks in the Spring to Autumn time.